There’s large wall art and then there’s really large wall art. 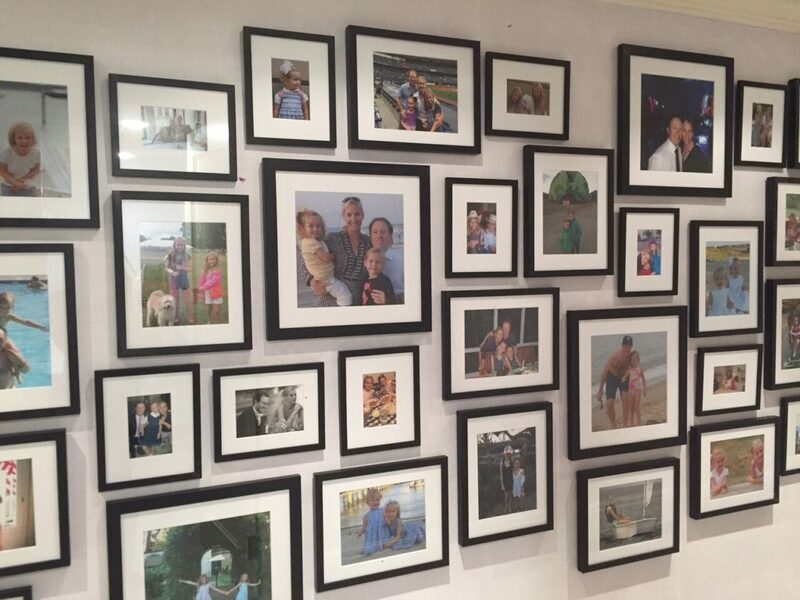 Most large wall art can be hung with standard picture hanging hardware and a few strong friends. Giant wall art typically needs a custom solution and the help of a professional team. We recently hung this giant Jiří Georg Dokoupil painting in a New York City office building, and it required a lot more than just a hammer and nails. We had a team of four of our staff members handling the piece, which reached nearly ten feet high. This particular project required an especially unique solution because the walls of the building lobby were glass, meaning the art couldn’t be affixed directly to the wall. Instead we used a cable system, which was structurally attached to the ceiling. This portion was completed by engineers to ensure structural soundness. From there, the installation was fairly straight forward despite the weight. We were able to slowly lower and raise the painting about 1′-2′ at a time using the cable system to provide stopping points enabling maximum security and ease. The main handling concerns, weight and stability as it was maneuvered, were eased by overcompensating with the number of hands involved. The most complicated aspect of the project was in fact completed before we hung the piece: getting the back of the frame prepared to attach to the cable system. The main concerns were the overall weight and the anticipated movement due to the combination of cable suspension and the buildings air flow and pressure. The frame had been designed to be hung from a French cleat which was not readily compatible with the cable system and the overall weight was too great for standard D-rings. So, we came up with a modified D-ring concept using nylon webbing, welded steel O-rings, and steel straps to distribute the weight along the back of the frame and maximize the connection. We’re happy to report: the solution worked. New York art lovers: We’re excited to announce the next art exhibit we’ll be hosting in our East Village studio space, An Interior Garden of Botanical Art. The show, a joint effort by ILevel and botanical art expert Susan Frei Nathan, will feature a beautiful collection of contemporary botanical art on vellum and paper by leading artists from the US and the UK, and is timed to coincide with the American Society of Botanical Artists’ 19th Annual International at the New York Design Center. The exhibit will be made up of original watercolor paintings and drawings created by master artists using historical painting techniques aligned with the centuries-old tradition of botanical art. Highly detailed and exquisitely painted, each piece in the show is selected to create a lush interior garden on the gallery walls throughout our studio space. The exhibit will be open to the public for viewing beginning November 4, and will close on December 16. For those interested in a more intimate and examined look at the collection, we will be hosting an opening breakfast at ILevel Studio (37 East 7th Street in Manhattan) on November 4 from 9 am to 11 am. Floral-inspired food and beverages will accompany a talk by Susan Frei Nathan about contemporary botanical art. Kindly RSVP by October 28th to michelle@ilevel.biz. ILevel Studio hours are Monday through Friday, 9 am to 5 pm, and evenings and weekends by appointment.